I'm a little ashamed to say this post is a bit late. 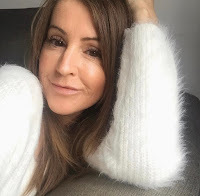 It's the usual excuse that my surgery and feeling rubbish got in the way but I'm catching up so here it is! 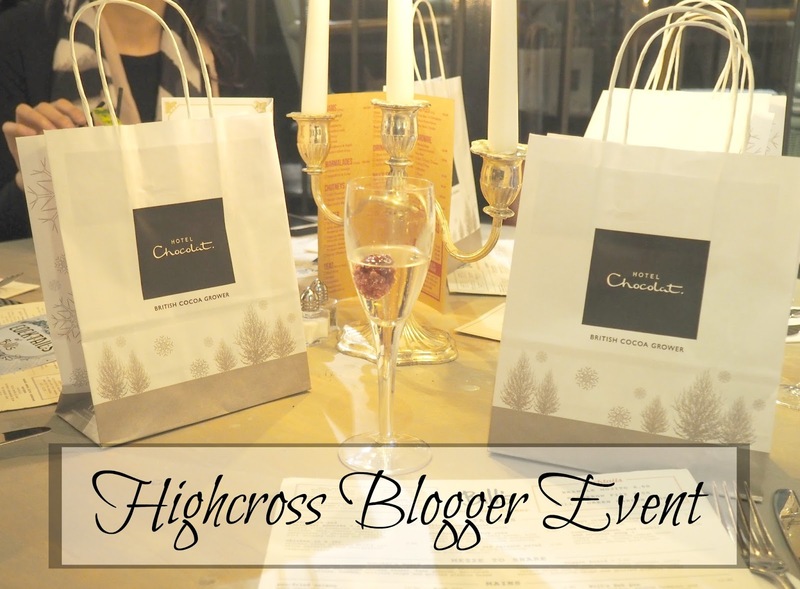 Towards the end of 2015 I attended a blogger event at the Highcross Shopping centre in Leicester. It was an intimate, cosy affair with just 4 bloggers in attendance and we were told to meet at Bills for cocktails. Bill's is located where all the Highcross eateries are and they cater for every occasion. You can pop in for breakfast, lunch or dinner and it has such a relaxed, informal and ever so friendly atmosphere, if you've not been, you need to and you can check out the website here. 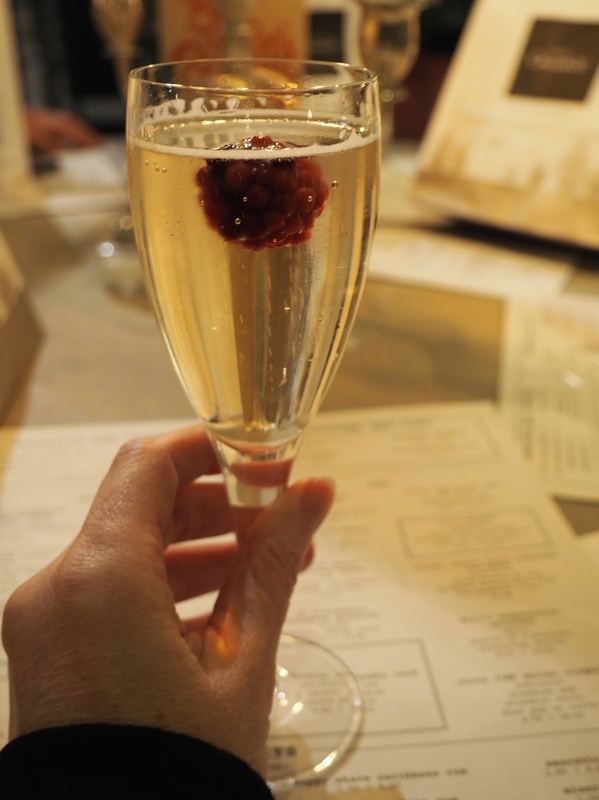 My cocktail of choice was the hedgerow fizz, you know me, anything with prosecco and I'm all over it! 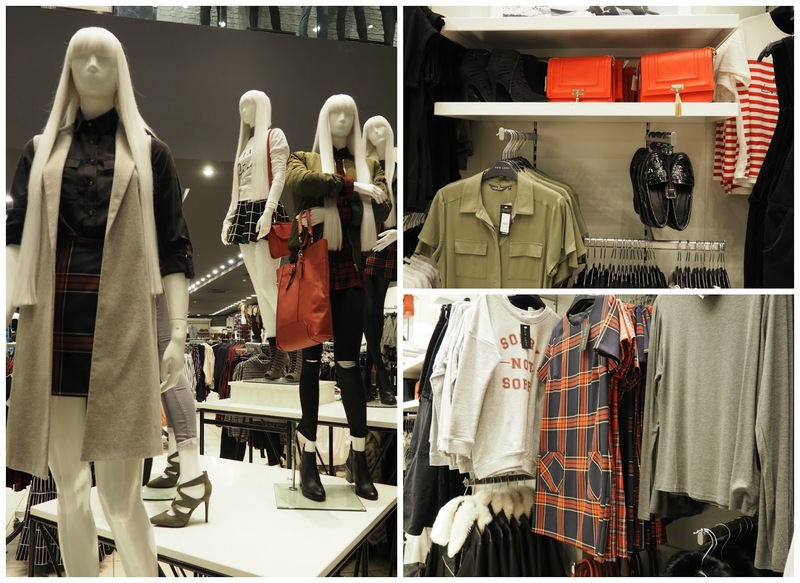 After everyone had arrived and downed their delicious cocktail we moved on to New Look for a personal shopping experience. 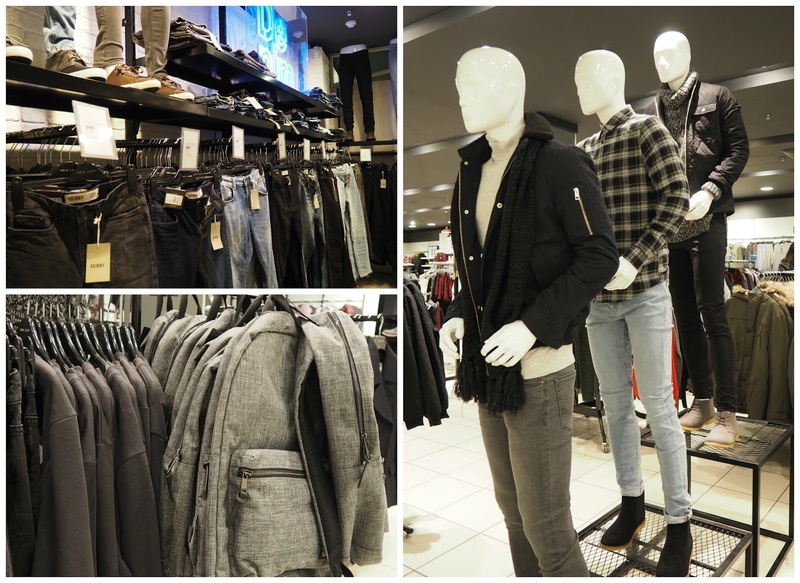 We were guided around the store and informed about all the new collections that had just arrived with khakis, plums, reds and greys taking centre stage. We were shown lots of key pieces, the problem being that quite a few took my eye and I duly made a note for future reference! 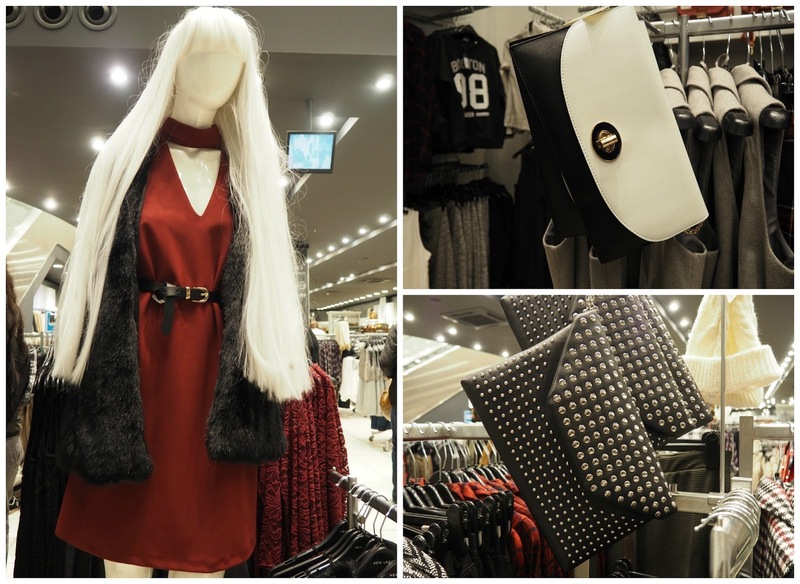 We said our goodbyes to the team at New Look and moved on to Urban Decay which is situated in Debenhams. I don't know which I was more excited about, fashion or make-up! 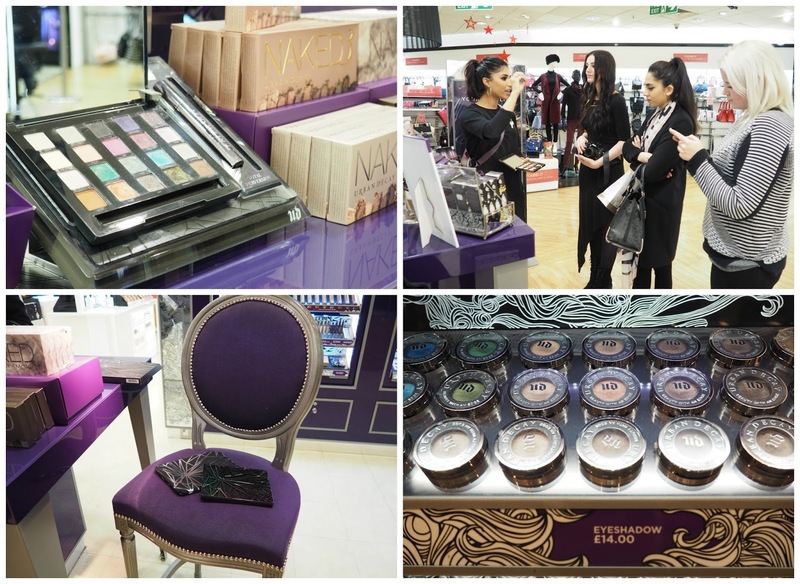 Two lovely ladies from Urban Decay awaited us to talk us through the new products. As the store was still open and quite busy we were all little hesitant to be stripped bare of our make-up so we all just listened and drooled over the stunning palettes. The first one on show was the Vice4, which was their 2015 'holiday' eye shadow palette. It has 20 never seen before gorgeous shades and is a limited edition. This palette has some rich jewel tones and in all honesty is not really one for me. The colours are a bit too 'out there' and a bit scary as I like to play it safe and stick more to neutral shades, not very adventurous I know. I just can't imagine wearing pinks, greens and purples. Although it's the limited edition for the holidays 2015 you can still purchase on line here. My absolute favourite was the Gwen Stefani eyeshadow palette. This one is right up my street. Gwen got together with Urban Decay to create a palette with her 15 must have shades and is also a limited edition. Most are neutrals but with a few jewel tones to mix it up a little and with all of the eyeshadows they are highly pigmented and velvety smooth giving rich colour and serious staying power. And just look at the case! I so wanted to pick this up and put it in my bag, but that's called shoplifting right?! Ah well, looks like I've missed the boat with this one (story of my life) as the pennies won't stretch in January. Bugger. The evening drew to a close and it was time to depart. We had a very enjoyable couple of hours and I for one went home with a very long and very imaginary shopping list! Are you an Urban Decay fan? What's your favourite product? Not a colour I'd wear but certainly a nice shade of blue. Short and sweet but really enjoyed it. Sounds like a lovely event! Those colours are gorgeous!